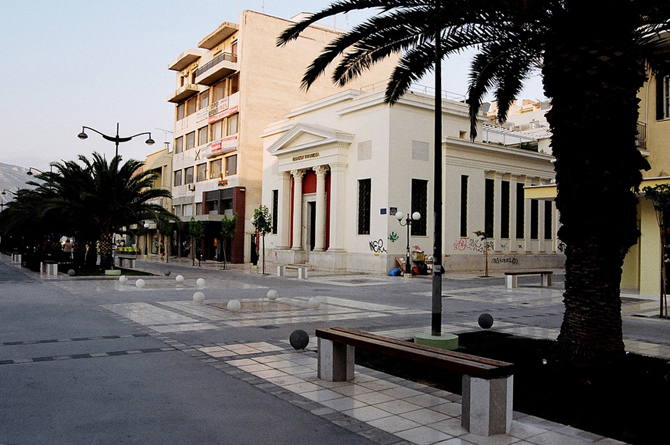 Korinthos, the capital of the prefecture, is a city that has stood the test of time. After two devastating earthquakes, in 1858 and in 1928, and one causing moderate damage (1981), the city stands and has been largely quake-proofed. The heir of Ancient Korinthos, it occupies the eastern end of the Corinthian Gulf, near the junction with the Saronic Gulf via the canal. 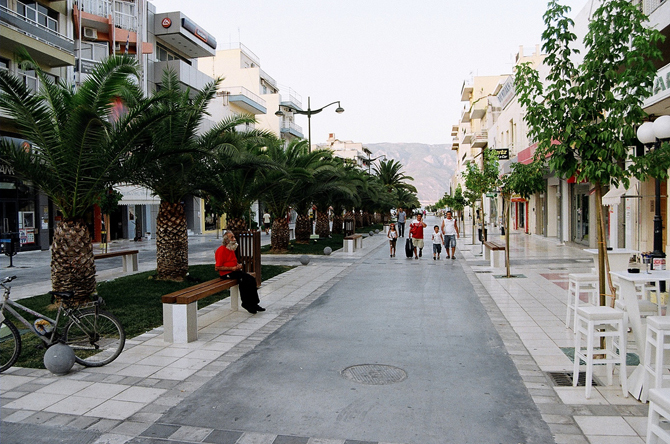 Many speak of the excellent layout of the city, and not without reason, since parallel roads lead to the sea side intersecting with vertical avenues, accompanied by large sidewalks and parks. 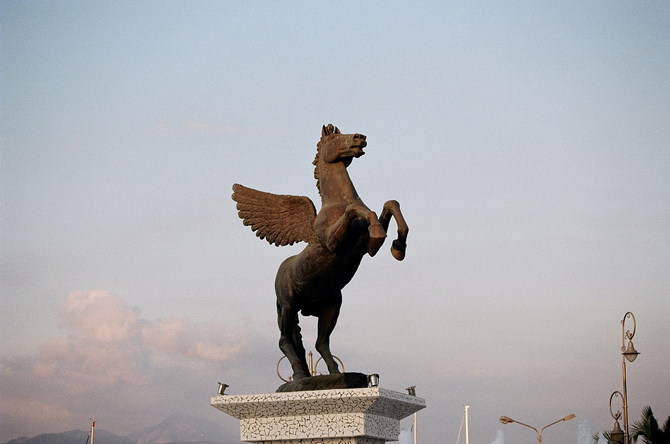 The symbol of city is the winged mythical horse Pegasus. 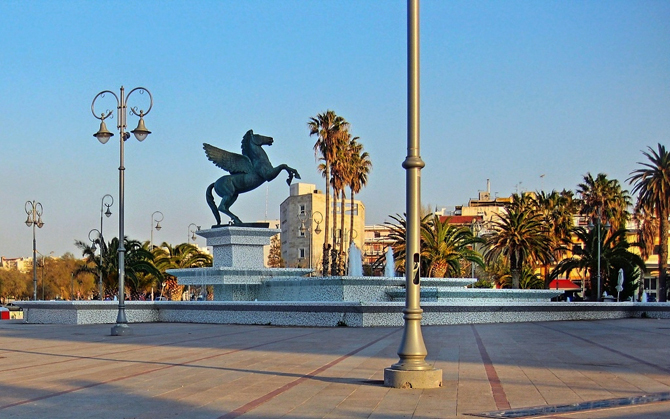 Its statue stands on the seaside square of Eleftherios Venizelos, also known as Floisvos. The city’s undeniable religious symbol is the Cathedral of Agios Pavlos (St.Paul), dedicated to the Apostle who spread Christianity in the region. In your walk on the coastal street, you can visit the Historical and Folklore Museum while continuing towards the beach Kalamia. You can enjoy a swim or a lunch at the famous seafood tavernas in the area. 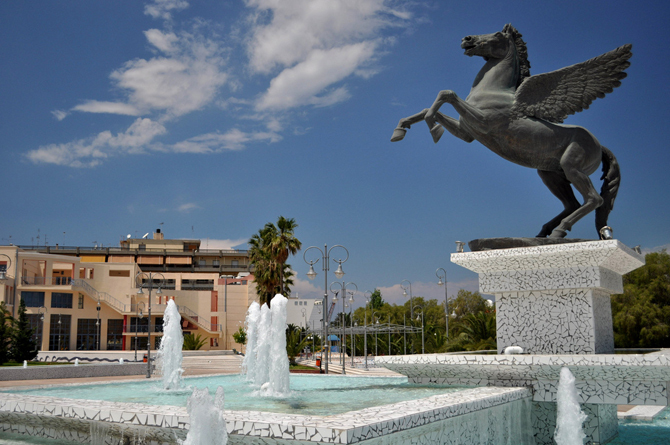 From the city of Korinthos access is quick and convenient to all major points of the county, such as Ancient Korinthos, the Corinth Canal and Nemea - including Ancient Nemea, Ziria mountain range etc.